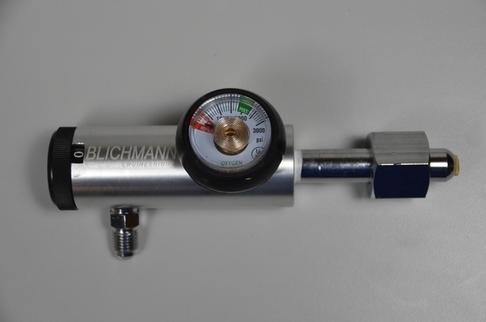 The new Blichmann Engineering™ Oxygen Flow Regulator helps you dial in the EXACT liters per minute of oxygen needed to acheive 8-10 ppm of dissolved oxygen in your wort. Vital to yeast health and the final flavor profile of your beer. Knowing the FLOW is important - other regulators simply regulate pressure and depending on your downstream restriction the actual flow can vary widely. Gone are the days of spray and pray!